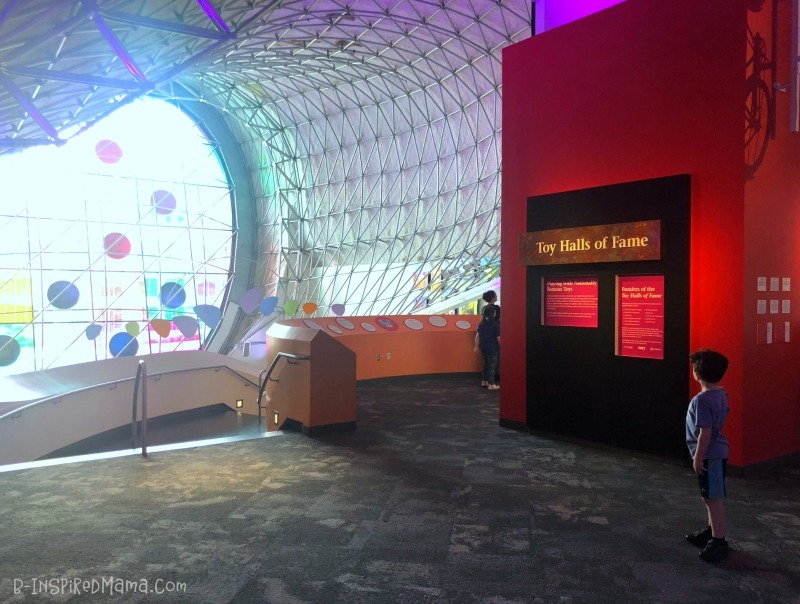 This post is sponsored by The Strong National Museum of Play and SheKnows Media. However, all statements and opinions are authentic and my own. Please see my disclosure policy for more information. In our family, we don’t do many vacations. Between hectic work schedules, seemingly endless school functions, and my kids traveling 4 hours away to visit their dad at least once a month, we just can’t fit them in! So, we prefer fun day trips and mini weekend vacations. 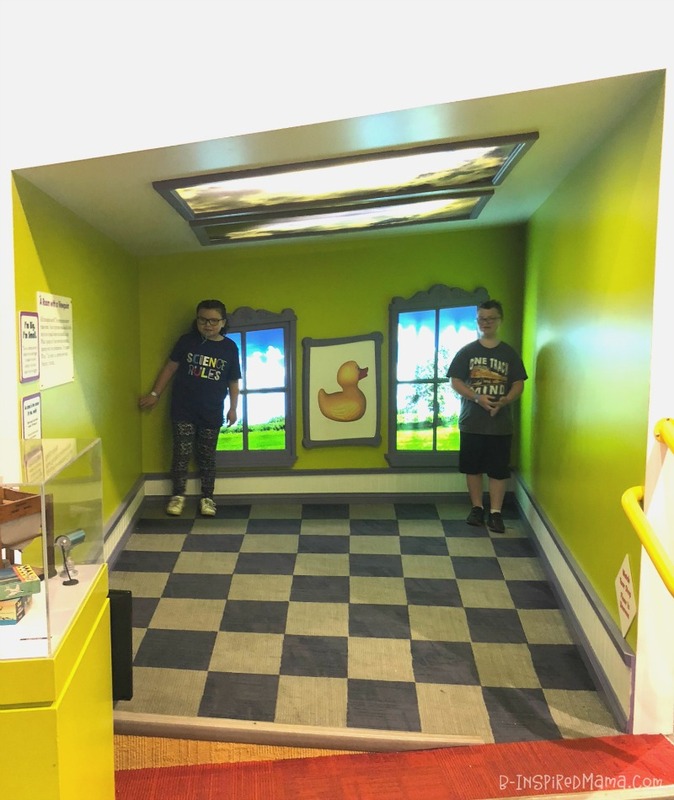 One of our very favorite destinations for our mini getaways is “the ultimate play destination,” The Strong National Museum of Play, in Rochester, New York! Check out the fun we had during our recent visit to The Strong. 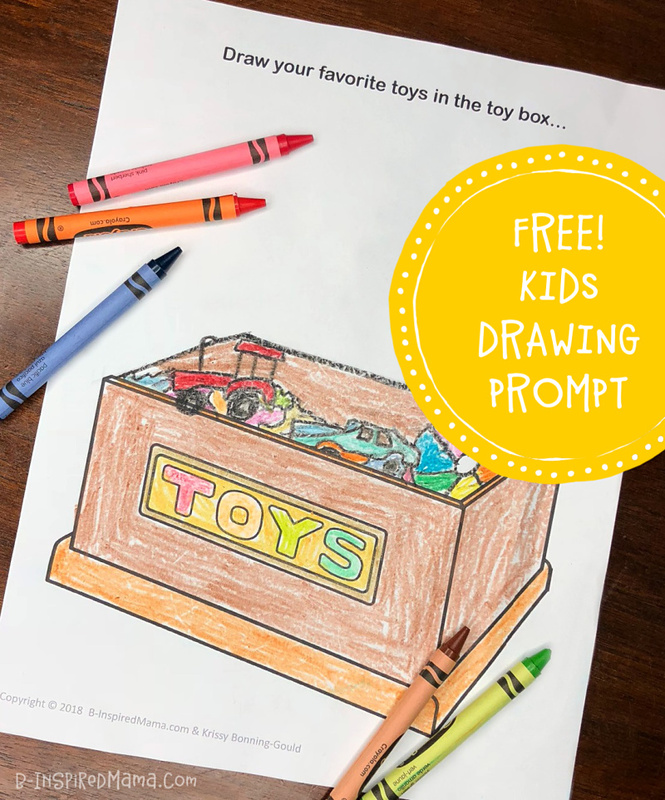 Then, make sure to download the free Play-Inspired Kids Drawing Prompt to get your kids excited for your visit! 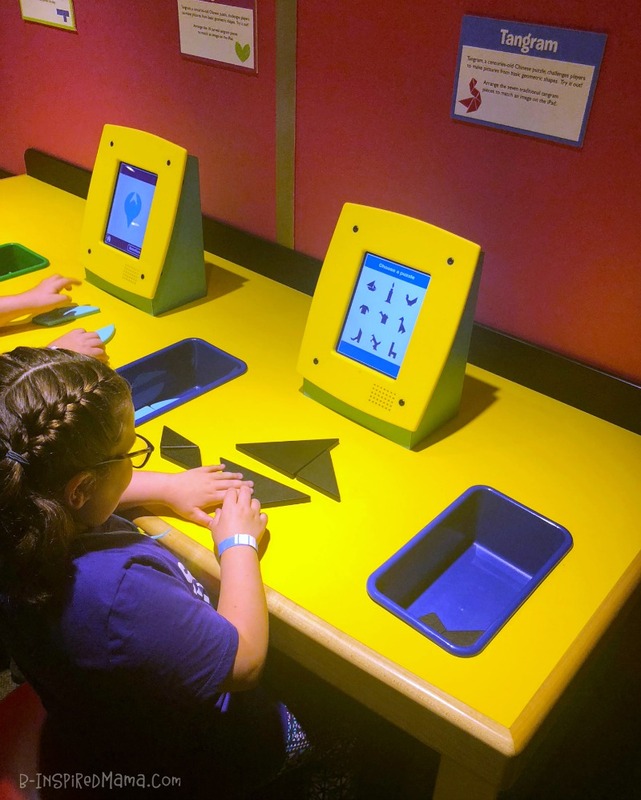 My favorite thing about The Strong National Museum of Play is how its highly-interactive and engaging exhibits encourage learning and creativity through play. 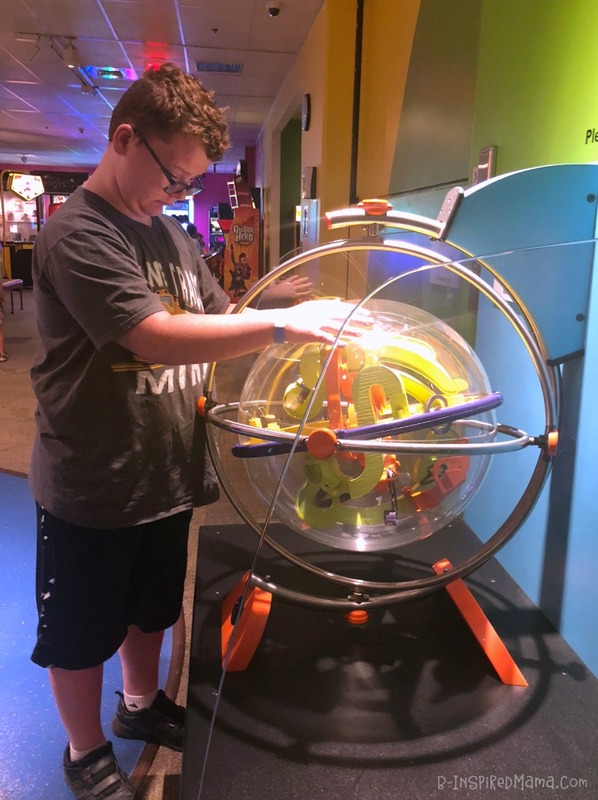 … or solving the giant Perplexus puzzle, the kids will be moving their bodies, stretching their minds, and expanding their creativity all day! 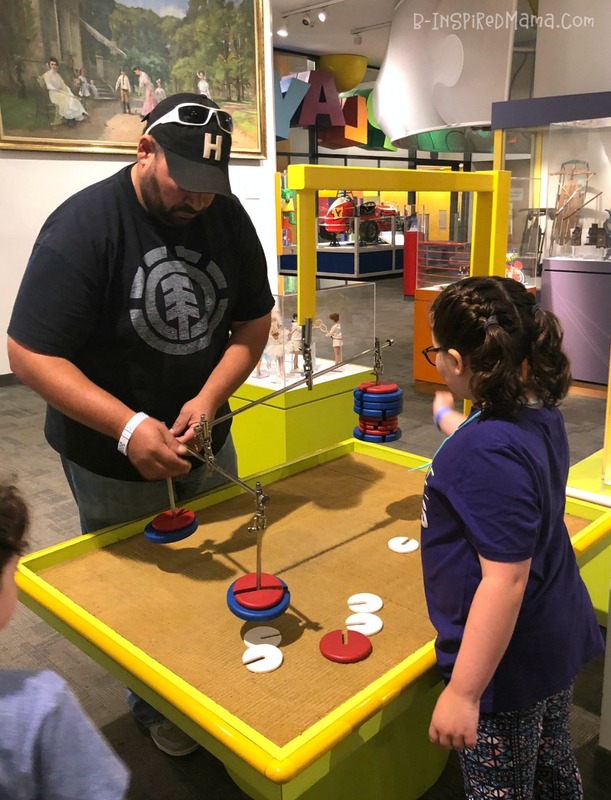 The blending of the history of toys with the interactive play opportunities makes The Strong the perfect museum for kids and adults of all ages. I explained proportion and illusion to my kids while they were moving around the exaggerated perspective room. Dad helped the kids explore weight and balance in the Field of Play exhibit. 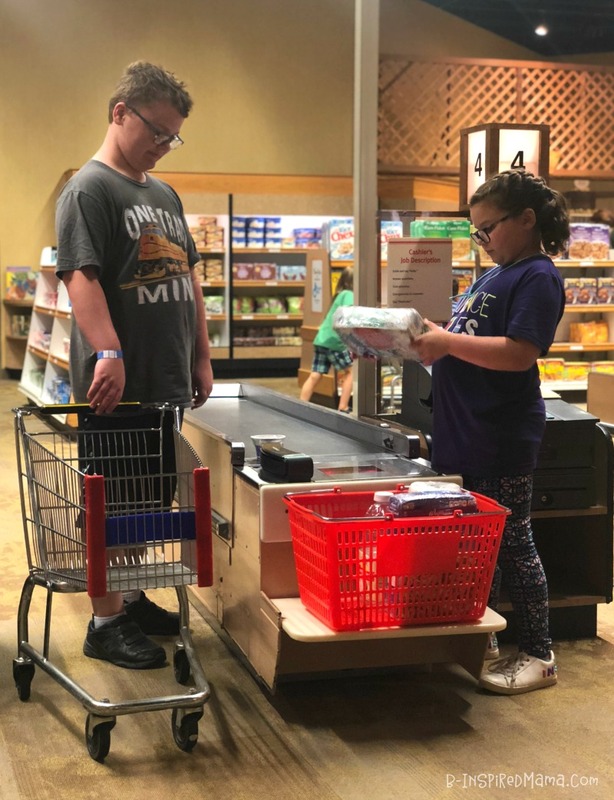 And siblings actually got along while they planned meals, shopped for ingredients, and scanned products at the check-out counters in the kid-sized Wegmans Super Kids Market! 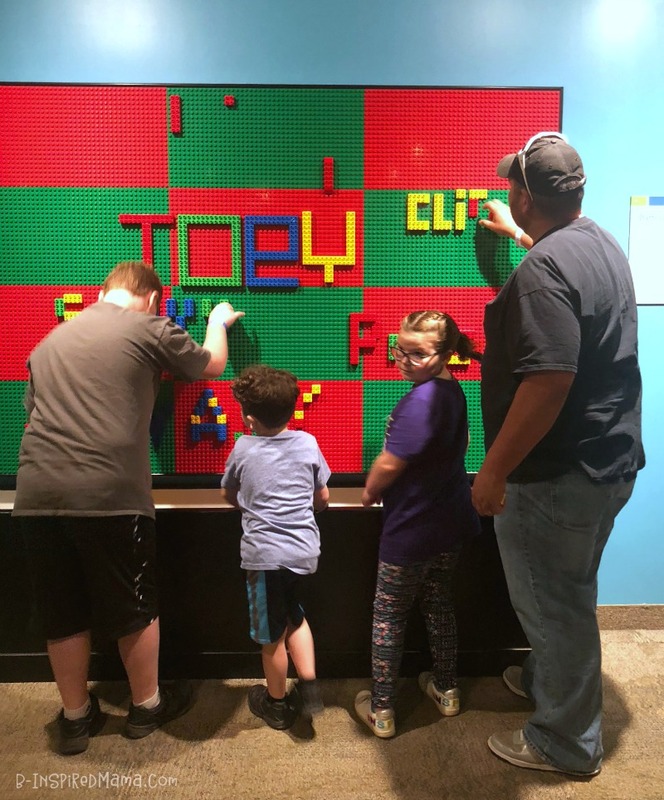 What’s most important about taking your family to visit The Strong is that it gives you an opportunity to connect with your kids and make precious memories while you all learn, create, and play together. But don’t worry, there are plenty of spots to sit and watch the kids have fun, too. 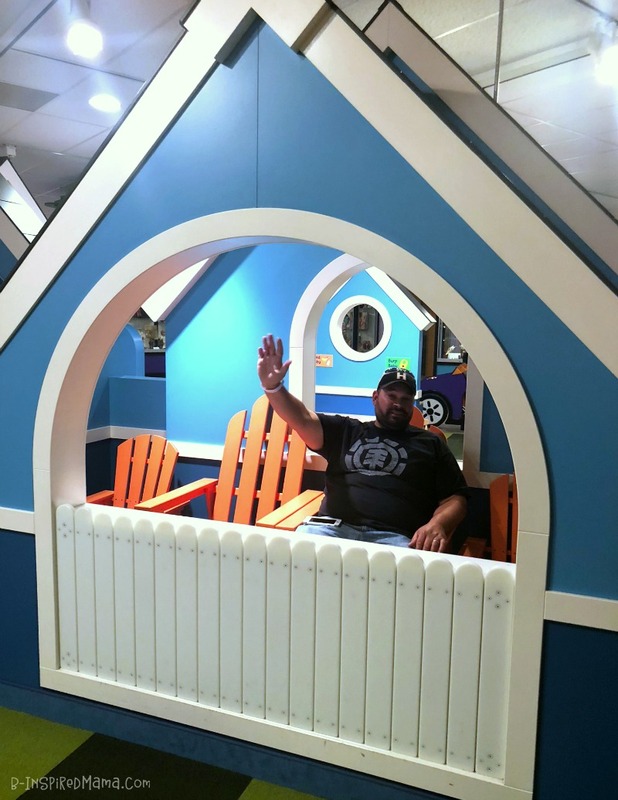 I found Cliff chillin’ in a life-sized dollhouse in the Play Pals exhibit! 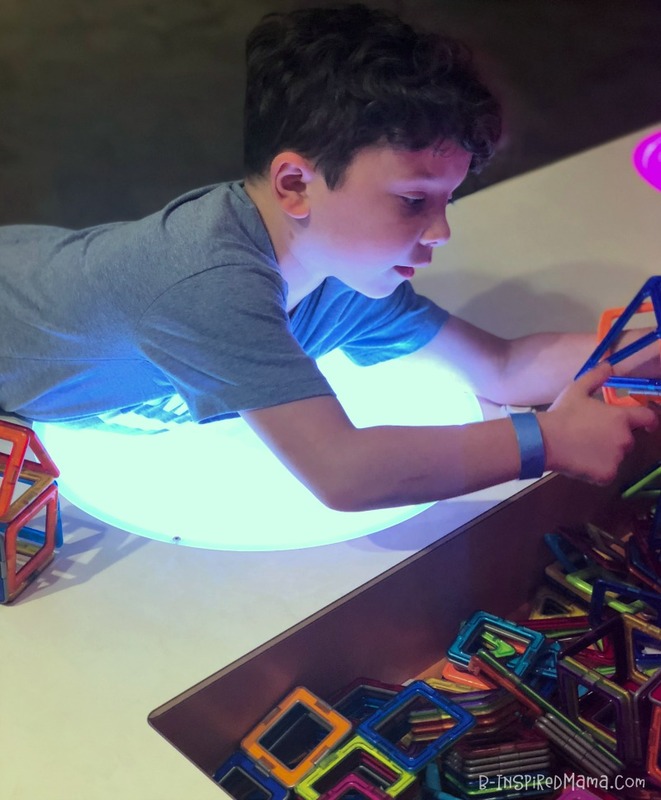 The Strong National Museum of Play is the only museum we’ve visited that everyone in our family agrees on, no one whines about being bored at, and where everyone leaves having had fun and learned something – including the adults. If you have kids, you know how hard this is to accomplish! Pair this Fun Kids Drawing Prompt with Your Visit to The Strong! Use this free kids drawing prompt as a fun way to let the kids know about an upcoming visit to The Strong. Or use it while reflecting on your play-filled visit. 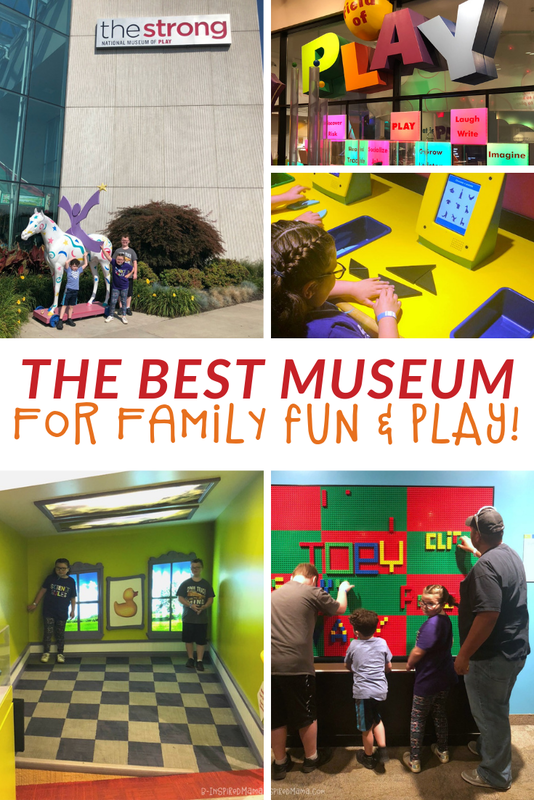 Either way, if you’re able, add The Strong Museum of National Play to your family travel plans. Your kids will thank you! Like this Free Kids Drawing Prompt? Pin It & Share It! This post is sponsored by The Strong museum and SheKnows Media. However, all statements and opinions are authentic and my own. Please see my disclosure policy for more information.